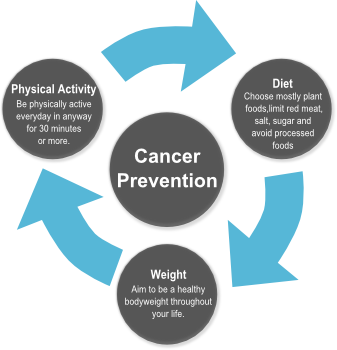 Being overweight increases your risk of cancer. Always work towards having a healthy body weight. Be physically active in your daily life. Limit the amount of time you spend sitting. Being a healthy weight can help reduce your risk of cancer. If you are concerned about your weight speak to your GP or call the Irish Cancer Society’s National Cancer Helpline on Freephone 1800 200 700 to talk to a specialist cancer nurse.